Free weekly and monthly public transport passes for vulnerable community members is a much-needed step in the right direction. Earlier this week, the Victorian Government announced a trial of free public transport passes for vulnerable Victorians, including those experiencing homelessness. This will significantly reduce the burden of unfair fines for those who can’t afford a public transport ticket. It will also have a big impact on the thousands of people our Homeless Law team supports to resolve infringements. From our work, we know that people who live their lives in public are more likely to rely on public transport. They’re also more likely to receive fines while doing so. We know that these fines are unfair and unaffordable, and we’re hopeful that the changes will make a real difference. The Hon. Martin Foley MP, Minister for Housing, launched the 12-month trial on 6 October 2018. It will provide eligible people with weekly or monthly public transport passes, which they can access through community agencies. With the pass, travel on the Victorian public transport system is free and unlimited for the specified time period. Public transport plays a critical role in building a better society. But for too long, Victoria’s public transport system has been inaccessible for many of the people who need it most. Because they can’t afford public transport, many marginalised people are cut-off from crucial social, health, family violence and legal supports. They can’t carry out essential daily activities, like visiting their kids. Many have also been penalised for failing to purchase a ticket or produce proof of concession. They’ve received fines they can’t afford to pay and entered complex court processes. One of our Homeless Law clients, Tim, had been using public transport to access medical appointments and accrued over $3000 in fines. The free public transport trial ensures people like Tim can focus on getting their life back on track, without the stress of fines. The courts, Justice Connect and the homelessness sector are constantly inundated with clients facing public transport fines. In 2016, the Ombudsman’s report found that nearly 5000 public transport infringement offences were prosecuted each year. The cost of enforcement far outweighed the 20% chance of any financial return. 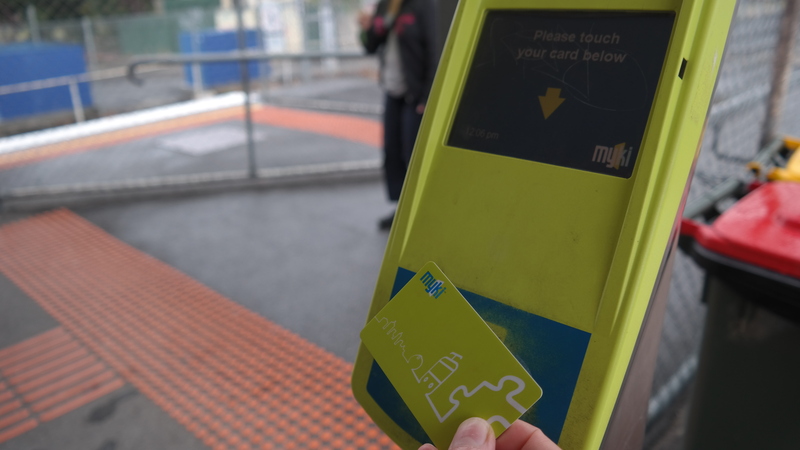 For years, Justice Connect has advocated for a more inclusive, accessible and fairer public transport ticketing system. We’ve done this through our Fair’s Fare campaign, contributing to the Government’s Ticketing Compliance and Enforcement Review and the Victorian Ombudsman’s Investigation into Public Transport Fare Evasion Enforcement. Recently, as part of a legal assistance and financial counselling sector alliance, the Infringements Working Group, we collectively advocated for better and fairer travel and concession options on public transport across Victoria. We strongly support the government’s introduction of this free public transport trial period. It’s another positive in the state’s approach to public transport. We will continue collaborating with cross-sector allies and decision-makers to ensure our clients can access the weekly and monthly passes. Given that it will currently cost community agencies $10.75 for a weekly pass and $38.85 for a monthly pass, it’s important that the sector is appropriately resourced to ensure the trial is successful and sustainable. We’ll keep drawing on evidence from our casework, and insights from clients, in seeking for the trial to become permanent. It will also be important for the trial to feature clear, consistent and transparent policies, and for longer passes to be explored for those with particular complexity or hardship, who do not meet the health-based criteria for the existing Access Travel Pass.